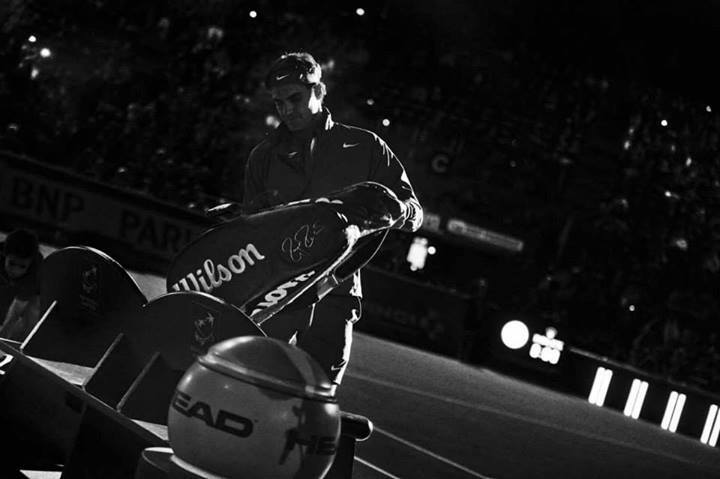 The race for 2014 year-end world #1 heats up this week at the BNP Paribas Masters (Paris Bercy). Fresh off his 6th Swiss Indoors title, Roger Federer adds pressure on Novak Djokovic as the two are in opposite halves of the draw, released earlier today. The Swiss maestro is likely to play his first match Wednesday, receiving a first round bye. 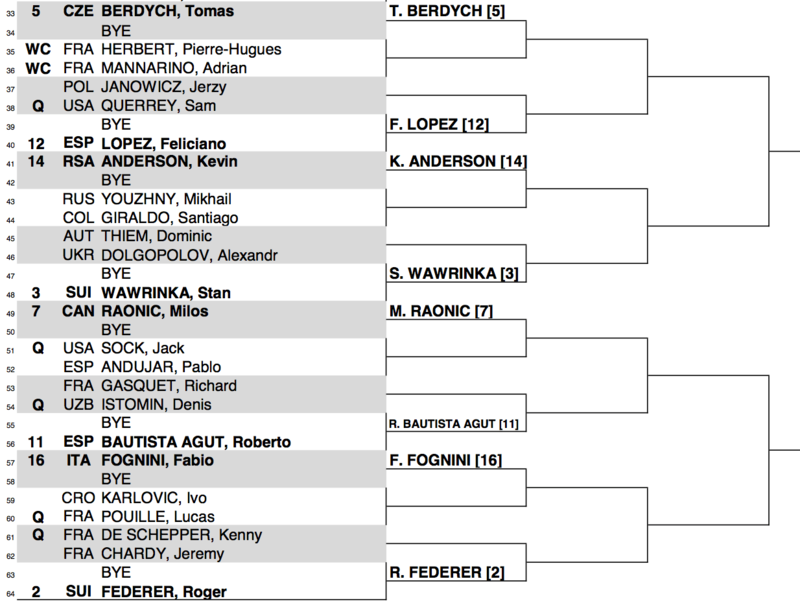 In the second round, he will face either Jeremy Chardy or Kenny De Schepper. Fabio Fognini or recent Basel semifinal clash Ivo Karlovic are likely waiting in the third round, followed by either “the missile” Milos Raonic or Roberto Bautista Agut in the quarterfinals. 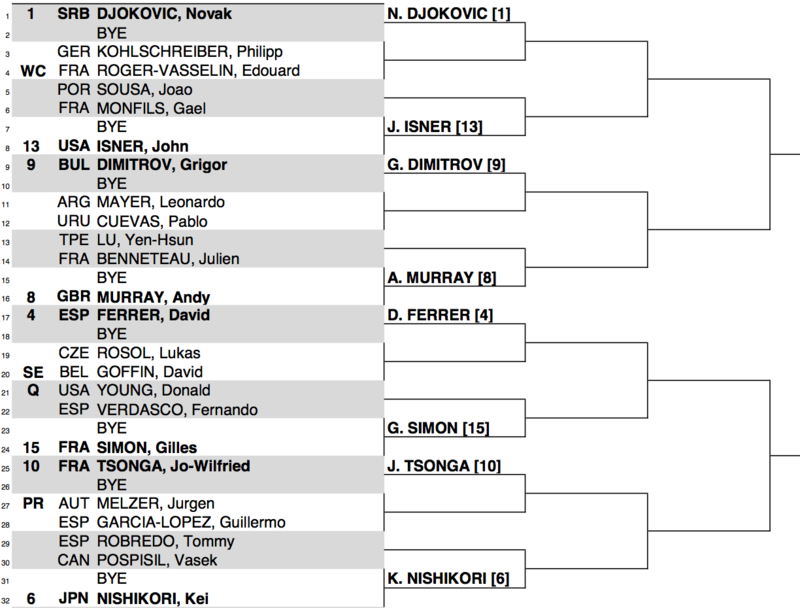 By seeding, Federer would meet either Stan Wawrinka or Tomas Berdych in the semifinals, while Novak Djokovic, David Ferrer, and Andy Murray lead the top half. View the full draw below or download the PDF version here. Watch full coverage of the 2014 BNP Paribas Masters (Paris Bercy) on FedFanTV.